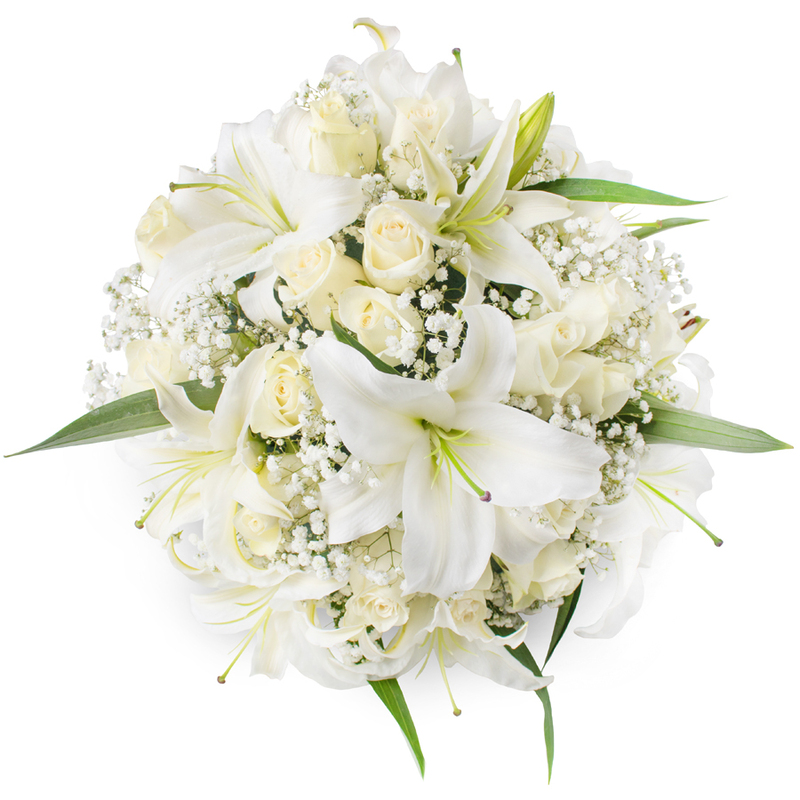 A classic floral composition including smooth white roses, liliums and gypsophila presented in a posy design. Full of beauty, grace and peace it is like from heaven. Funerals are part of life but they are rarely expected. 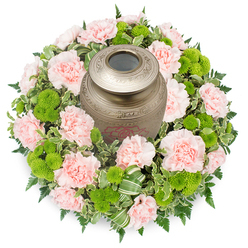 I stumbled on this site when helping a friend with ideas for funeral posies. When we placed an order, they did not disappoint. It feels good to know you have a place to turn in times of dire need. 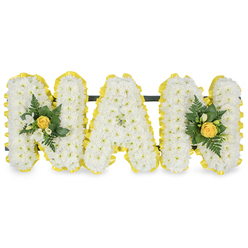 Thank you for your help with my order and for coordinating with the funeral home for the delivery for the flowers. You created one of the greatest funeral posies I have ever seen. Very impressed by the beautiful arrangement. 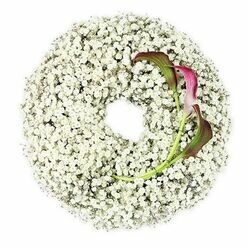 This is the most perfect posy that I could order online. All of the flowers were positioned perfectly. Nothing bad to say about the company. 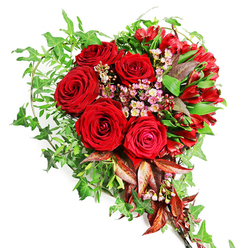 I always thought ordering flowers online was kind of risky, however Handy Flowers proved to be very reliable and loyal company. Absolutely worth giving them a try no matter what the occasion is. 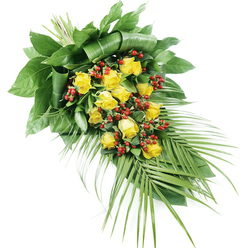 Ordering funeral flowers from the website is really time-saving and convenient. Especially when you have so many arrangements to choose from, all of them looking extremely beautiful. Lovely posy. The white-colored flowers complemented each other perfectly. 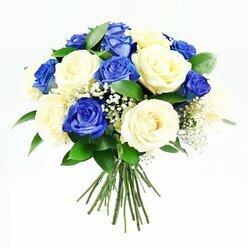 Affordable prices, fast and simple to send flowers online. Would recommend!